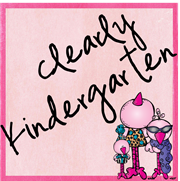 As I was blog stalking Elizabeth at Kickin' It In Kindergarten, I found out about this great Linky where you can find other bloggers from your state!! 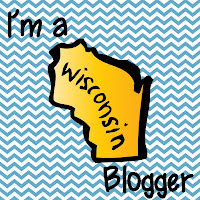 I love finding other Wisconsin bloggers....so some day (when it stops snowing!!) we can have a bloggy meet up! Head on over to Diane's blog Fifth in the Middle and find your state and link up!! She even has these cute buttons you can grab and put on your blog! Now on to some Word Family Fun! During our RtI time this week we are working on word families and I am lucky enough to have the group that understands word families already! So we have been able to do some fun activities. 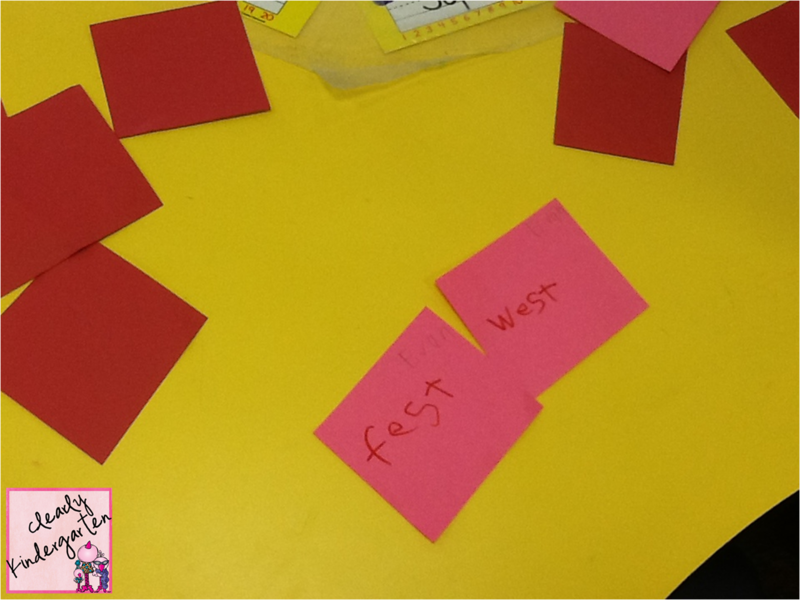 Yesterday I gave them 6 word family endings and pieces of construction paper. I asked them to each brainstorm 2 words that fit in each word family. When they were done they each had 12 cards. 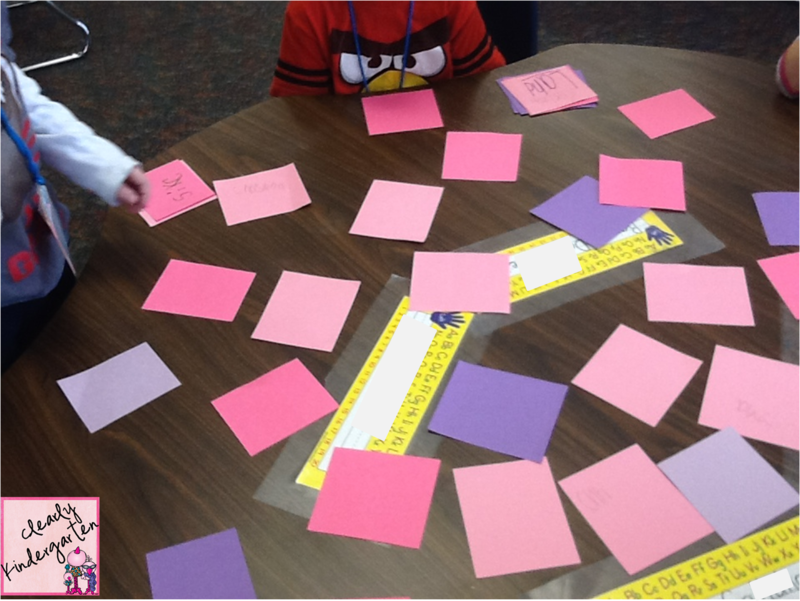 Then I put them in groups of 4 and we put all of their cards in a large bag and mixed them up. Then time ran out for the day! 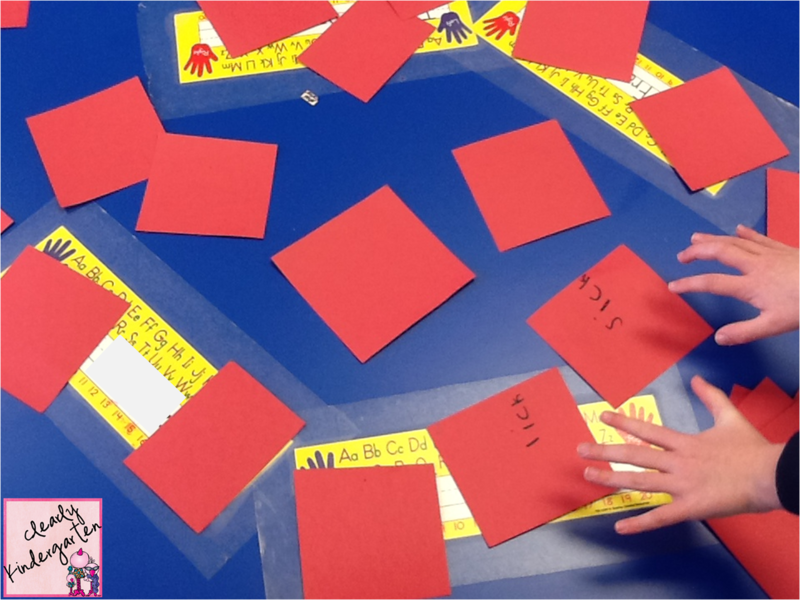 So today when they came in they got back into their groups and spread all of the cards from their bag in the middle of the table and played word family memory. If the words were in the same word family they were a match! They loved it and it was even a little bit challenging for them because I gave them the -ick and -ock word families, so they really had to pay attention. Hope everyone has a great Friday!!!!! Sweet! I am near Milwaukee too! Hello fellow WI friend! I found you through the Blogs by State link up, and I'm glad to find a fellow cheese head. It seems like everyone is from Michigan or Texas LOL. YAY for Milwaukee! I'm about 30 miles southwest of MKE. I'm your newest follower! I know I feel like that too! Maybe we will find enough of us to do a meet up. Adorable Blog! Such great ideas! I love the pictures with the little hands playing the card game! Thanks, they had a blast! I love it! I love word family games and I'm always looking for new ideas. Thanks, my kiddos are lovin word families! Glad you stopped by! I didn't know about the blogs by state link-up! I am heading over there right now! Also, your first picture is really funny and cute- it looks like there is an actual Angry Bird sitting at your table! Now that I look at it you are right! I had them sit with their hands under the table till I was done with directions! What a fun idea for your kids! I will have to play this with my kids! They just love to play memory. Thanks for sharing about the linky by state I will have to go check that out! Mine do to, they are already asking to play again! Thanks for stopping by! Isn't it funny how some groups just latch on to certain games! My kiddos love I have who has! Your blog is so cute! My kids would love that game. Will definitely head over to that blog link-up-thank you for sharing it. Love your blog. What a fun way to work with word families. My kids love matching games so I am sure they will love this idea. Thanks for sharing. Thanks, so glad you stopped by!